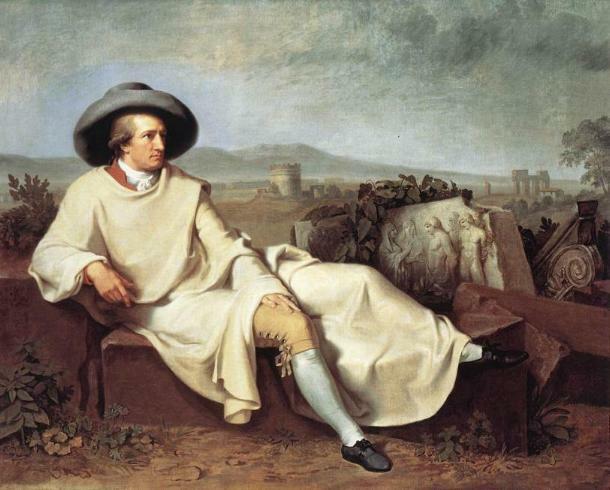 What's wrong in this famous portrait of Goethe? Click to enlarge and study. Answer at page bottom. Enlarge the picture and stare at the four dots in the middle for about 40 seconds. Then look at a blank surface like a wall. Blink your eyes and you will see a figure appear. Who is it? Answer at page bottom. 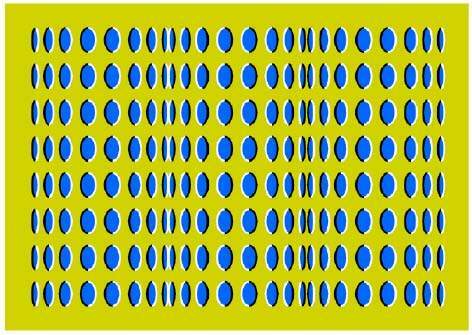 Two different animals are revealed in this illusion. What are they? Answer at page bottom. Enlarge and study this picture. Is the image a graphic animation, or does it only appear to be so? Answer at page bottom. 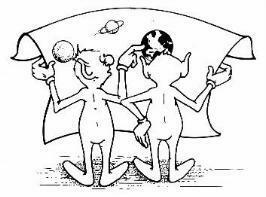 Which two figures alternately appear in this illusion? Answer at page bottom. What is the technical name for this impossible object? Answer at page bottom. Goethe's riddle: His right foot appears to be on his left. 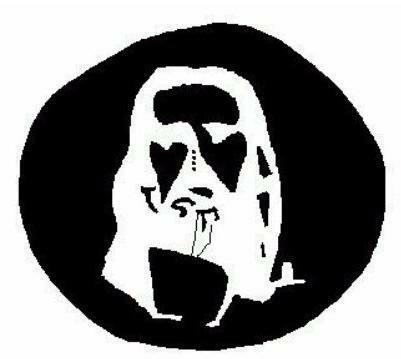 Blinking riddle: The after-image appears to be Jesus. Animal riddle: A donkey and a seal. Animation riddle: The appearance of motion is illusory. Person riddle: An eskimo and a native American's face. Impossible Object riddle: Technically, it's called an Impossible Object.